I had to kick off the new year with a few new makeup items. Items that I had desperately been wanting to try for ages, 'needed' or just seemed quite useful to purchase. 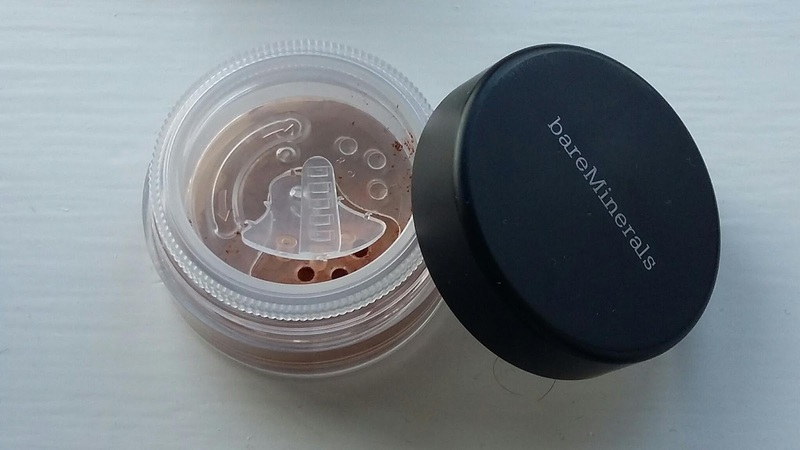 I have always wanted to try bareMinerals and have finally got round to it. It is a makeup brand with a small selection of skincare, and is known for giving that au naturel look while making the skin appear flawless. I was actually on the hunt for a foundation, but took heed of some advice someone once gave me: if you want an extra lightweight foundation that doesn't have much coverage at all, try a concealer instead. This has been one of the, if not the best tip I have been given concerning makeup. BareMineral's concealer is so weightless I feel like I have nothing on my face, yet it does its job and gives a smooth, even finish. The only negative is that it is very slightly greying if I accidently put a slightly heavier coverage on - that's when I know I've applied too much. The packaging is simple with a screw lid. You can shake how much powder you want into the top of the container through some holes, which allows clean and tidy application. Speaking of application, I love my new brush modelled on an Artiste brush. I've never tried the latter, but this one definitely does the trick. The bristles are extra soft on the face and lift my concealer powder effortlessly from the tub. It applies the powder evenly to my skin, even in those difficult areas such as under the eye. The second tool is a sponge with a handle. I like to use it to apply my highlighter. For a stronger look, I'm sure you could wet the sponge before applying your makeup. 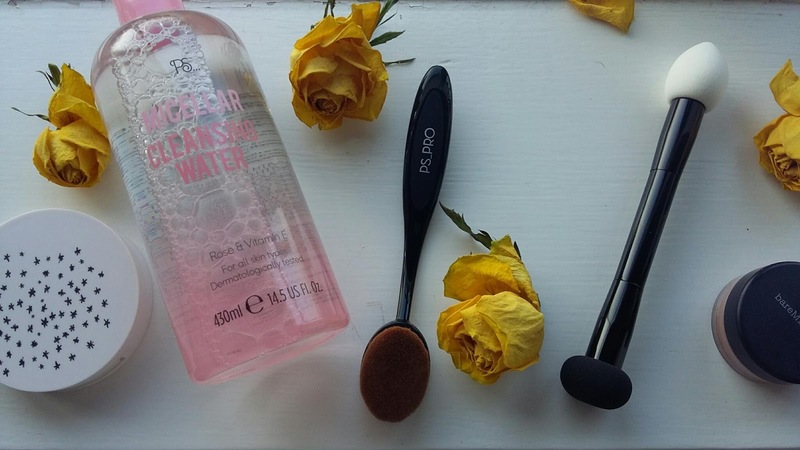 As I like to look as natural as possible, I leave the sponge dry and dab the product onto my cheeks. I have been on the search for a replacement bronzer for years now. I tried one from Kelly Brooke's range, not expecting much, but fell in love with it. Unfortunately, it was limited edition. Nothing else I've tried since seems to be the right tone, as natural looking, and provide that goddess glow, but Topshop's highlighter comes close. 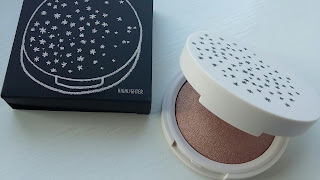 I know bronzers and highlighters have totally different purposes but as someone who doesn't wear much makeup I just needed something that would bring a bit of definition and radiance back to my face after applying concealer. The packaging is simple and cute as well! A few years ago micellar water hit the beauty scene as the go to makeup remover. I won't go into the science behind it but it's light, while still being extremely effective at cleansing the skin, and most makeup brands have their own versions now. This Primark one does exactly what it's meant to do, but perhaps a little too well. My skin feels quite tight and dry after use. This is coming from someone without sensitive skin or skin that feels tight after washing. Of course, if like me you use a moisturiser, this may not be a huge problem for you. I also find that a little on a few cotton pads goes a long way. Be careful not to use too much around the eye area, as it's so light, it can seep into the eyes.